This first book of the ModelMetricks Intermediate series will show you how to use the 3D Text tool. You’ll make flat letters, 3D letters, words with stripes, colorful wall signs, engravings, even text lines along round objects. 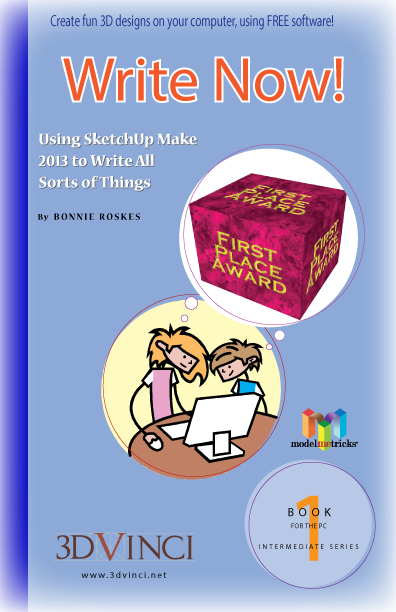 After doing the projects this book, you’ll be able to write anything anywhere in SketchUp, using any colors and styles you like! View chapter details. Printable PDF format, 8.5" x 11", 104 pages; download info will be sent within one business day.